Actor Seth Green (“Family Guy”) and Matthew Senreich created the off-the-wall comedy hit, which is a series of pop-culture parodies using stop-motion animation of toys, action figures and dolls. 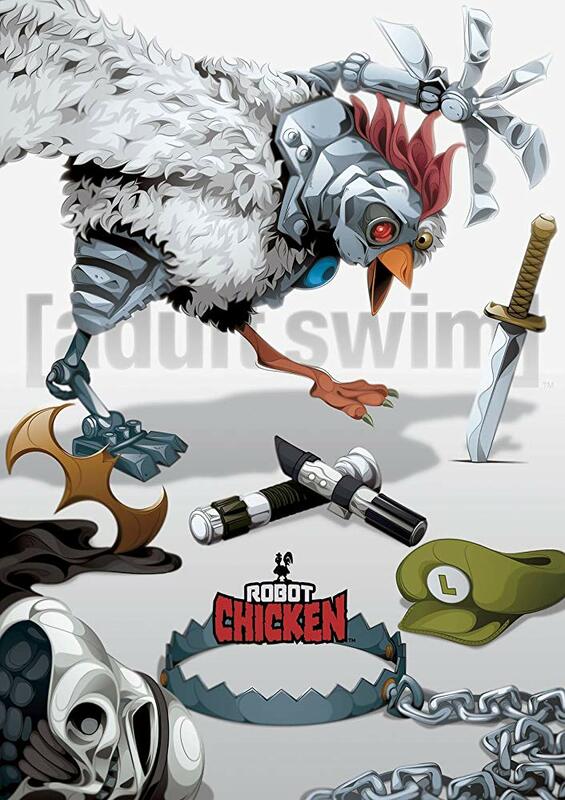 The title character was an ordinary chicken until he was run down by a car and subsequently brought back to life in cyborg form by mad scientist Fritz Huhnmorder, who tortures Robot Chicken by forcing him to watch a random selection of TV shows, the sketches that make up the body of each episode. The show often features special episodes built around a single theme, including “Star Wars” and DC Comics.